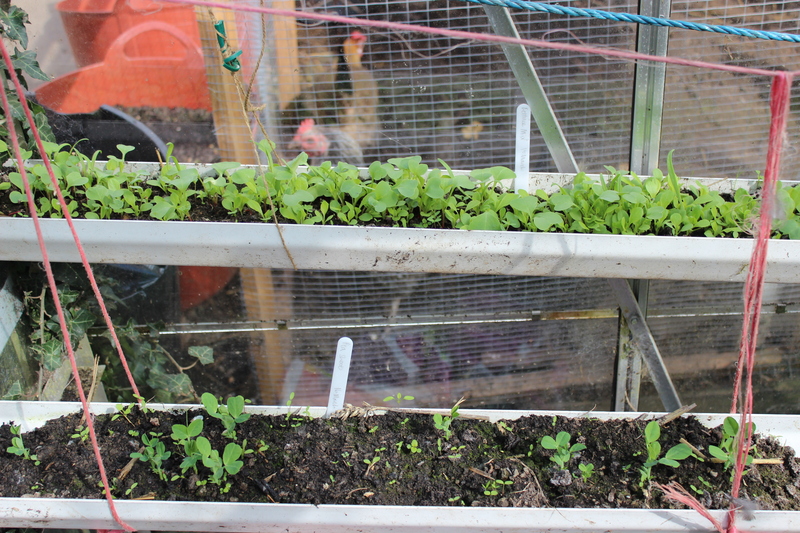 In my last post I wrote about the first ‘garden salad’ of the year. 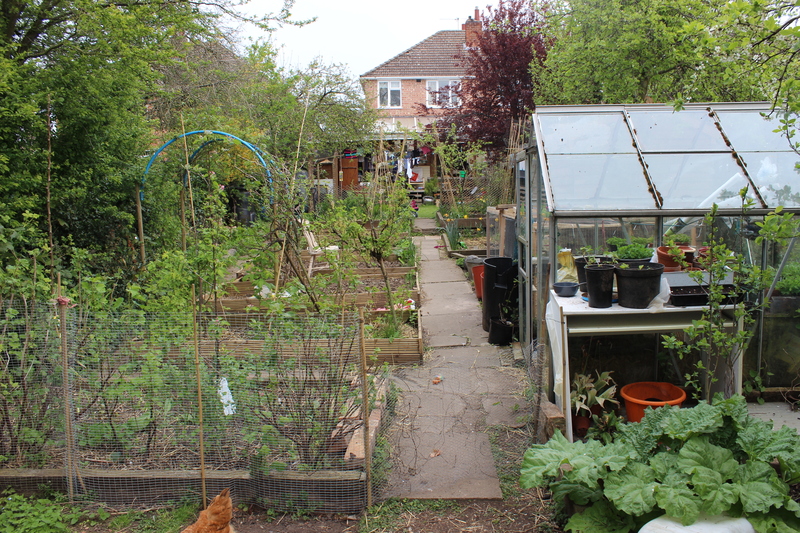 We should now have enough leafy salad crops to eat a salad out of the garden a few times per week. 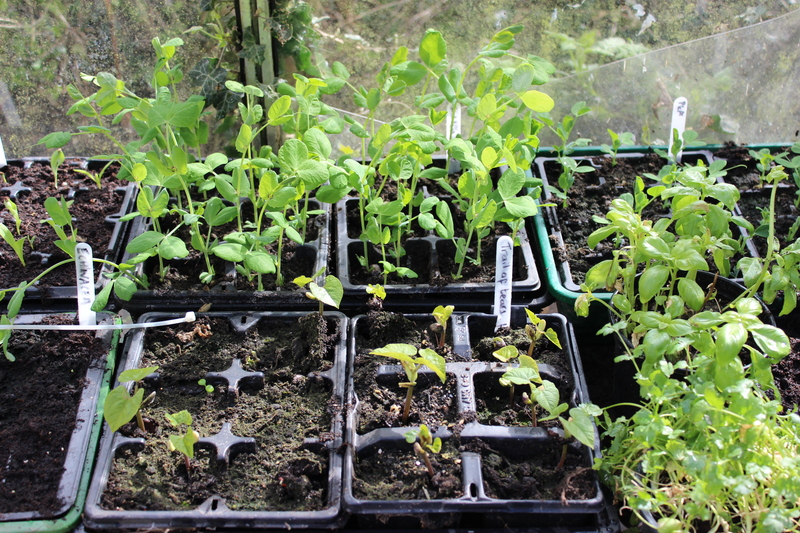 I will keep on sowing seeds throughout the year to try to keep a steady succession of salads on the go. I am slightly obsessed with greens at the moment and seem to crave fresh leafy greens on a daily basis. My other obsession is chocolate, shame I can’t grow coco beans too! I am enjoying planning my garden flower boarders and filling in the gaps between the herbaceous perennials with plants or sowing seeds. 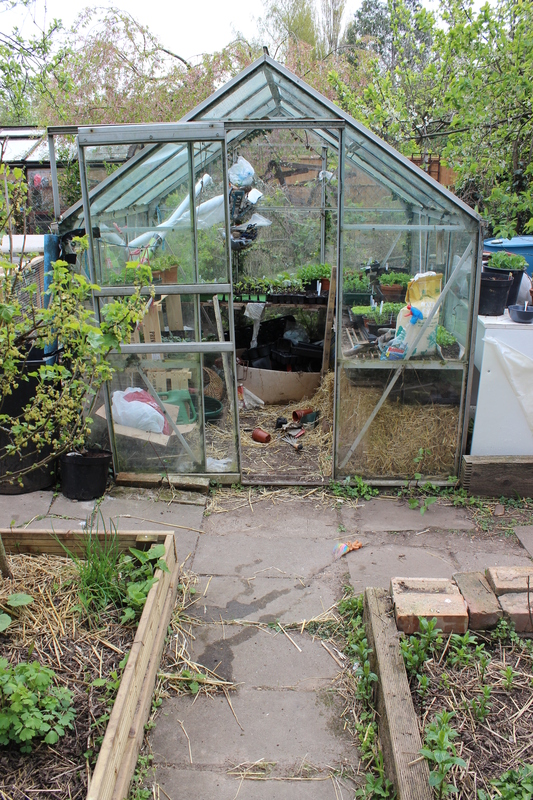 The edible garden is slowly taking shape, with lots of plants started off in the greenhouse or conservatory window ledges. 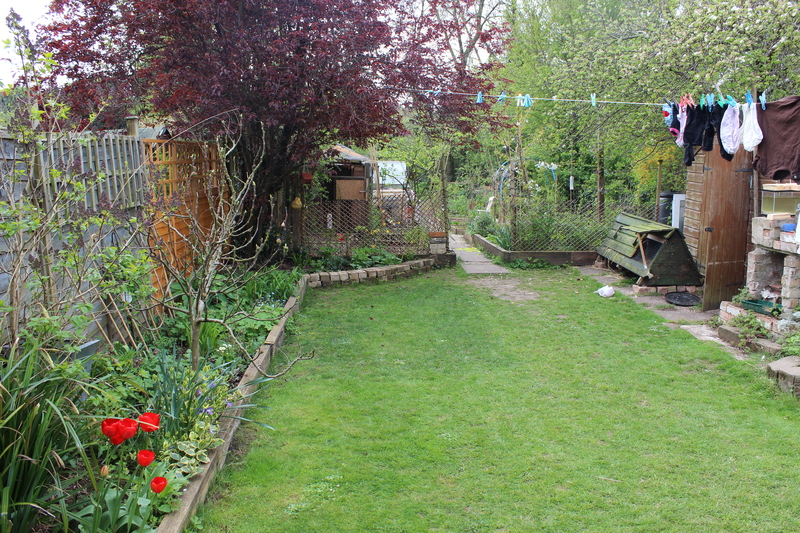 I am in love with my garden. I think about it a lot and would rather hang out in it than go anywhere else most days. 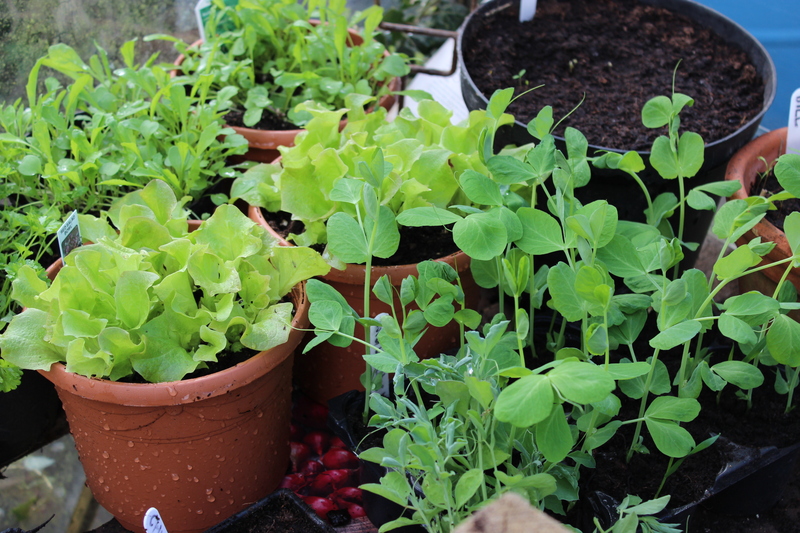 At this time of year, anything seems possible in the garden, I am full of plans and ideas. I am enjoying that these plans have moved away from compost, structures and paths now, towards actual exciting, beautiful, fabulous plants! We are all really enjoying spending days outside. 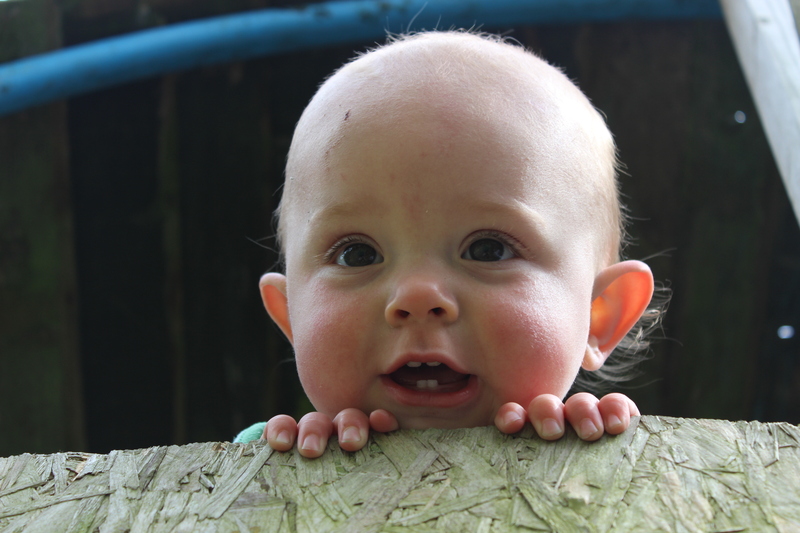 Baby S is loving the freedom to romp around in the garden. I keep on finding him trying to break into the neighbour’s garden to go down their slide. He also has figured out how to climb up to the trampoline and even attempts the tree-house ladder! (He is only 13 months old) So I am feeling glad for him that this exciting new world has opened up and happy that he is a confident, exploring type of boy. But on the other hand, I am constantly worried about him hurting himself and I have to try to watch him a lot of the time. This rather restricts my gardening ambitions at the moment! But who could resist this cute little chap? Tiny plums developing behind the blossom. Self set bluebells. These ones are inside my compost heap. I will relocate them once they have finiahed flowering. 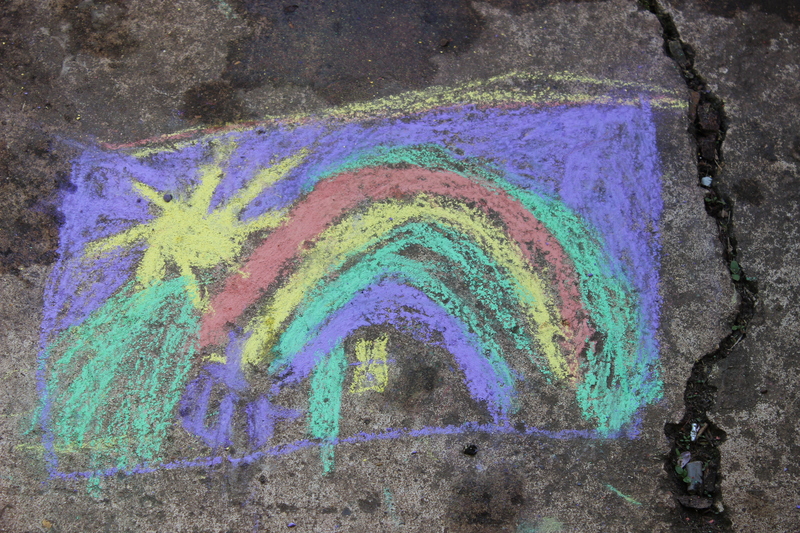 Chalk drawing by my eldest daughter. Cloudy but mild day with some light rain expected later. 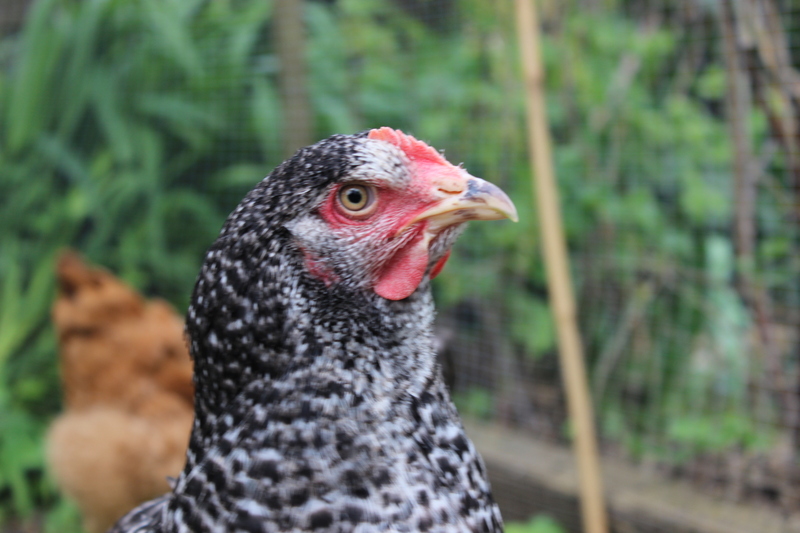 This entry was posted in Uncategorized and tagged chickens, family, flowers, Garden diary, My garden design, Permaculture, Permaculture Diploma, Photography, plants, trees by emilycrofton. Bookmark the permalink. 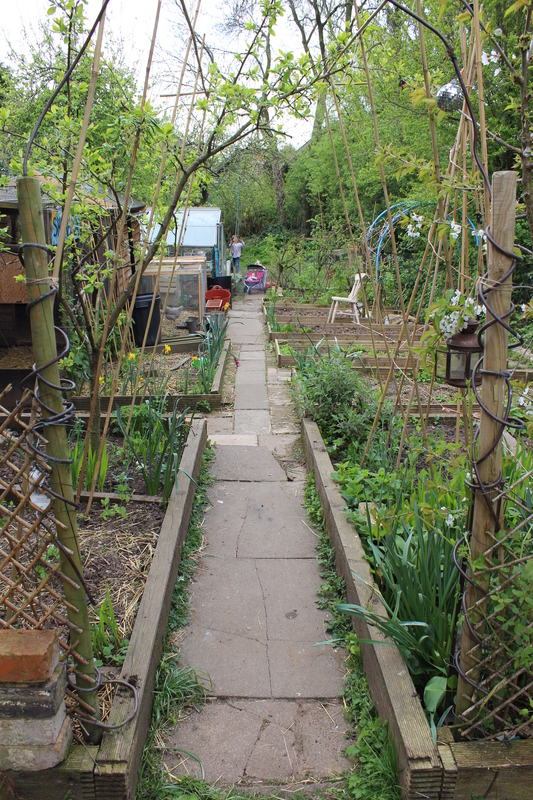 I feel exactly the same way – I’m totally at home in the garden (much more so than in the house) and when I’m out there, there’s no other place I’d rather be 🙂 So glad you’ve got past the construction phase and can now enjoy planting! 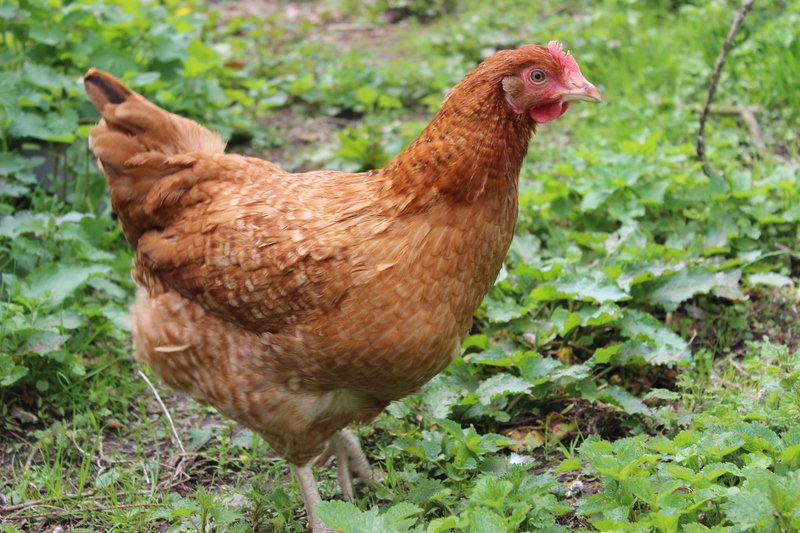 Your son is a total cutey and your new chooks look gorgeous. Thanks! I am so much more relaxed and happy when outdoors. It really is the best therapy. I especially like the chalk drawing! Thanks, she is a great artist!